Even though Frankie and Frank are quite different, one’s a little boy and the other’s a big monster, they are best buddies who love to play together. Join them as they have loads of fun filled with sweet surprises and lots of learning! Get ready to experience the world famous Scooby-Doo! and Crew like never before in this all-new original puppet movie! What begins as a routine night for the Gang -- which includes the slobbering sleuth and Shaggy eating a triple extra-large Scooby snack pizza -- becomes a mad dash to find the frightening Phantom Parrot with a map to pirate Gnarlybeard's hidden treasure. 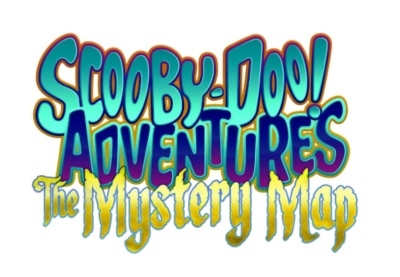 Scooby sniffs out the map's clues, which lead him right to a spooky pirate ship. Ruh-roh! What will Gnarlybeard be willing to do to protect his booty? The whole family will love casting off on this mysterious, fun-filled voyage again and again. Jack thinks music is "super swell", and his pal Mary and his dog Mel both agree. So they spend their time making music in Jack's backyard clubhouse, where there is no wrong way to sing or play. In the process, they introduce children to music basics like dynamics, pitch and tempo, as well as the fundamentals of songs. “Bunnytown” revolves around a fully functioning town consisting of the furry critters who take on various roles, with superheroes, inventors, rock stars and students. Original music explores a wide variety of styles, from hip-hop and disco to country and jazz. morning swirls around them: grabbing breakfast on the run, packing backpacks and briefcases, and hurrying out the door in a mad scramble to make it on time to school and work, but not before petting Phil and Alice on the head, telling them to have fun doing whatever it is that a dog and cat do during the day. Once the door slams shut and all is quiet in the house, Phil and Alice launch into what they do everyday, turning on the family’s laptop computer, adjusting the computer video camera and hosting their very own music-variety web show for animals all around the world (and our viewers are lucky enough to watch). Phil and Alice have a huge following, millions of animals tune in to their web show to follow the crazy antics of these funny and talented pets. Phil and Alice don’t realize that they are on the cutting edge, web trailblazers who have a far-reaching social networking site – able to chat with animals anywhere. 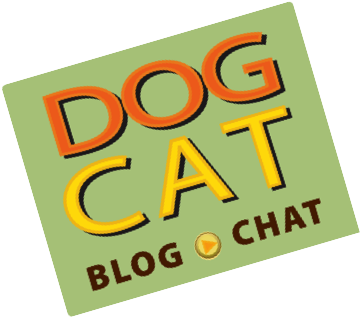 It’s time for Dog Cat Blog Chat!